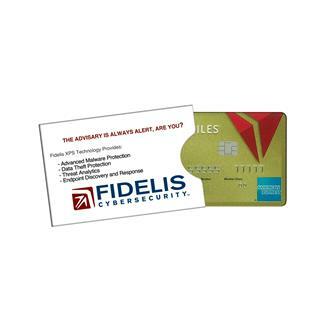 Protect your identity, debit & credit cards from RFID card reader scanners & mobile apps capable of electronic theft. Our foil-lined sleeves are FIPS 201 Approved. Printed in full color, perfect for branding your custom message. Ideal for banks, college campuses, travel agencies, retailers, government and more.